Water drain pipe heater for low temperature cold room! 1. 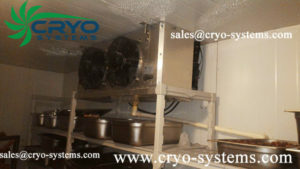 For medium temperature cold room (temperature is over 0 degrees), it is okay no need to do something to prevent water frozen. 2. For low temperature, we should add a heater in the water pipe and do insulation. And, if water pipe is plastic, we advise use 40w/m heater. If the pipe is steel, the heater should be 50w/m.